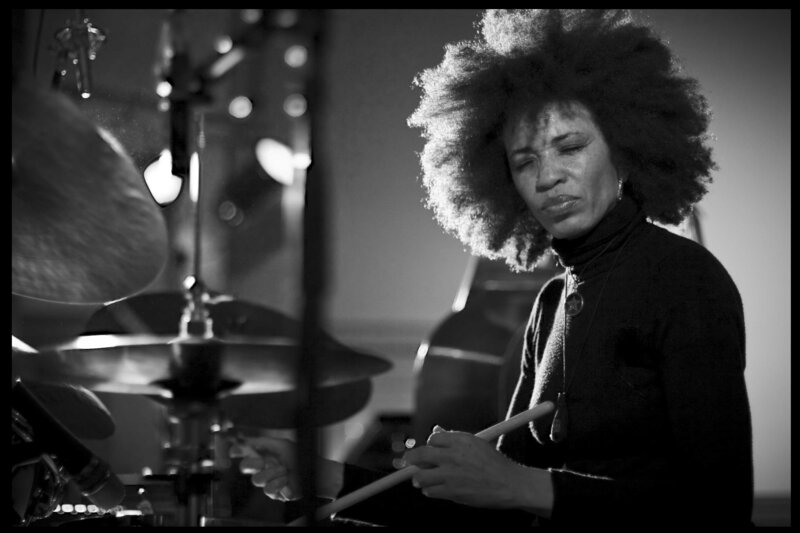 Listen to Cindy Blackman and her quartet, recorded live at Slave Church in Cape Town on 1 October 2008. Cindy Blackman is widely regarded as one of the top drummers in the world. She’s upheld the backbeat and created texture for a veritable Who’s Who in jazz: Jackie McLean, Joe Henderson, Don Pullen, Hugh Masekela, Pharaoh Sanders, Sam Rivers, Cassandra Wilson, Angela Bofill, Bill Laswell, Buckethead. However, she’s better known as keeper of ‘polyriddims’ for funk rocker Lenny Kravitz since 1993. Indeed, she is one of a few drummers who can easily move from straight-ahead jazz to rock to funk and back again. Of her album Woks on Canvas, jazz critic Mike Zwerin said: “Some drummers act, some react. Some keep time, others create it. Cindy Blackman is among the few who can…” Cindy Blackman has also released an acclaimed drumming instructional video entitled Multiplicity.